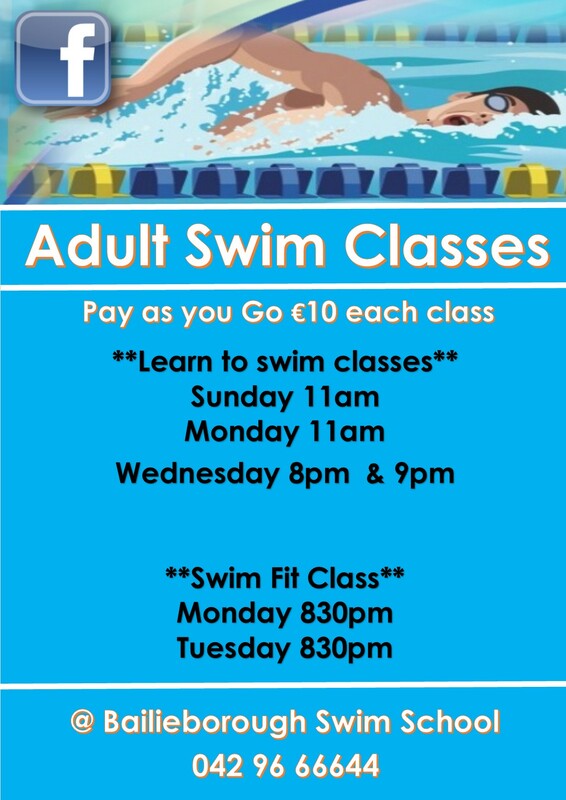 ALL our Adult classes are €10 pay as u go. 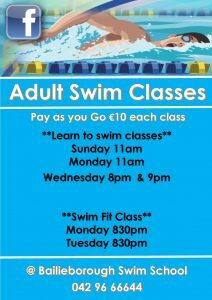 Make a SPLASH this year and learn how to swim , no waiting lists, all levels catered for. Sporting groups can also be catering for, pool hire plus qualified instructor available at various times to suit.